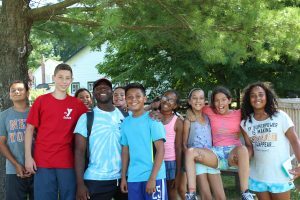 Our School Age Camp is a traditional day camp that provides campers with the opportunity to participate in a variety of activities that help build confidence and friendships. Our campers are encouraged to try new things while they grow and learn about themselves and others all under the care of our wonderful, trained camp staff. Our School Age Camp is held off site. Due to construction at our previous location, camp for the 2019 Season will be held at Royle Elementary School, located at 133 Mansfield Avenue, Darien. Children will be bused daily to the YMCA for swimming. Drop off and pick up is at Royle School. Information regarding the Royle location will be provided prior to camp starting. Our School Age Camp groups are co-ed and arranged by grade that the camp is just completing. Session 1 is only one week. Please see section on Mini Camp to get information about June 17 - 21. Activities: Camp offers a variety of activities that give campers the opportunity to experience new things each day. Schedules vary weekly and will be posted on our Parent Only Page each week. *More detailed information will be provided closer to camp.